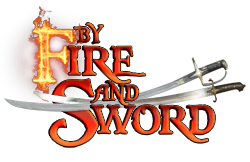 Our idea is to allow you easier start with By Fire and Sword. Please look at two Skirmish Forces: Swedish Detachment and Transylvanian Combat Patrol. As we have received a lot of feedback from you those forces are not as good and "Cavalry" Swedish Skirmish and Transylvanian Pillaging Raid we have made decided to change them a little bit to bring the balance of the force ;) We hope you'll like those changes.